On top of a fantastic welcome offer, players at LuckyThrillz have a whole range of exciting perks to look forward to, including reward points, daily surprise bonuses and live tournament action! At LuckyThrillz, you’ll find all the most popular slot, casino, scratch card, instant and live casino games from the top providers in the industry! The offer applies to the first deposit. The offer only applies to new players. Games are given as follows: 20 games and 100% bonus on first deposit. An additional 40 games will be given on deposit the second day after the first deposit (min £ 20) and another 40 games after deposit on the third day (min £ 20). Winnings won with games that require deposit must be bet 35x. Bonuses that require deposit must be charged 35x. o The “Welcome bonus” must be wagered at LuckyThrillz.com within 21 days of being credited to your account.  LuckyThrillz.com reserves the right, at any time, to revoke any welcome bonus not used within the allotted time period. o Unless stated otherwise by LuckyThrillz.com, the non-deposit bonus is available to new players only (players who have not received this bonus before). Our welcome bonus is automatic. However, there are various reasons for not receiving it and you may need to personally request it. If you have not received your automatic welcome bonus after making an approved deposit, please contact our support team. This can be done online while you are playing (click the “online support” button), or by emailing support@LuckyThrillz.com. Just remember to state your username. o Players, who initiate a deposit in order to receive free games as part of a deposit offer, MUST wager their deposit amount before initiating a withdrawal. Players who withdraw their deposit without wagering will lose the free games earned from the deposit or if used, any winnings earned from the free games. For more details, please see our FAQ page.